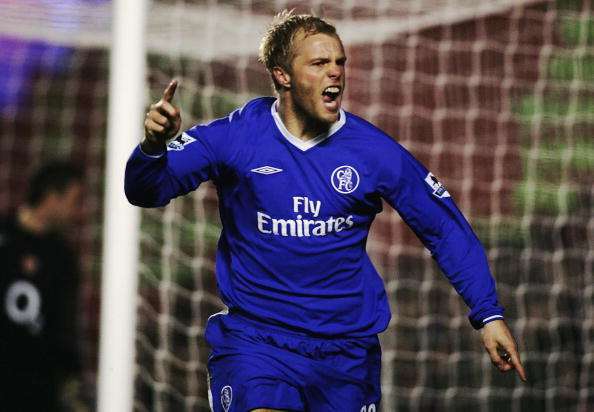 Interview with Eidur Gudjohnsen: "Premier League and Chelsea are in my heart"
Pune City's new signing, Eidur Gudjohnsen, has played football in 9 countries, including his own, Iceland, and India is the 10th. The 37-year-old striker spoke with Sportskeeda about his new challenge in Indian Super League and his most beloved moments in a career of 22 years. The blond forward made his first steps in Iceland with Valur and Reykjavik, and Netherlands with PSV Eindhoven, but started to impact on football in Bolton Wanderers (1998-2000). His excellent performances there earned him a transfer to Chelsea and later to Barcelona. Gudjohnsen considers his time in Premier League with Chelsea as his best experience and the figures confirm it. He appeared in more than 230 games, scored more than 60 goals and assisted more than 30 times his teammates in the Blues. He wore their shirt for six years (2000-2006) and during that time he won the Premier League title (2004/05, 2005/06) and the FA Community Shield (2000, 2006) twice, and the League Cup once (2004/05). In 2006 he moved to Barcelona, where he was a teammate of Lionel Messi and Ronaldinho. It was those years that the Blaugrana had begun to build in Europe their empire, which continues to exist until today, ten years later. He stayed in Spain for three years, counting more than 100 appearances and had multiple goals and assists with the Catalans. He went on to play for other English clubs (Tottenham, Stoke City, Fulham and Bolton again), Belgian (Cercle Brugge, Club Brugge), French (Monaco), Greek (AEK Athens), Chinese (Shijiazhuang Ever Bright), Norwegian (Molde) and now the Indian Pune City. You became popular following your amazing performances in Barcelona and Chelsea during the first decade of the 21st Century. What impact these two powerhouses had in your career? At both clubs, I achieved great success. I loved my time in Barcelona but Chelsea holds a special place in my heart. Chelsea is the club that is close to my heart because I went there as a young man and matured as a player. It was the most successful time in my career. It is more than just a football club. You have scored hundreds of goals. Which one you remember most often and more fondly? The solo goal against Wimbledon while playing for Bolton in 1999 League Cup is a memorable one. Wimbledon were a Premier League team who got quite a lot of attention. That season lifted me, my performances and my profile to a different level, and the goal was part of that. It’s one of my favorites. There was another, for Chelsea at Southampton in 2004-05. I got the ball in midfield, where (Jose) Mourinho had moved me to. I played a one-two with (Jiri) Jarosik, then gave the ball to (Frank) Lampard, who passed to Drogba, who then put me through to score. That was a pure footballing goal. I also scored an overhead kick against Leeds. You won many trophies, with PSV, Chelsea and Barcelona: Leagues, Cups, Super Cups and Champions League. Which one caused you the most joy? Playing in Premier League is something I have loved the most, because of the history and the connection we have back in Iceland with English football. 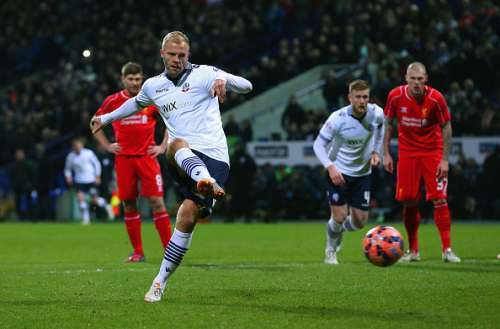 Apart from Chelsea, I have in my heart Bolton Wanderers too because they gave me a chance to re-start my career. I am impressed by how many countries you have known through football. You have played in Iceland, Netherlands, England, Spain, France, Greece, Belgium, China, Norway and now India. Did it happen incidentally or did you intend to know football in different cultures? In recent years it’s been easier for me to move on. Usually my family is based in Spain and my children go to school there so I move alone. Thus it’s easier for me to move from one country to another. In the last few years I have had this opportunity to play football in different countries and get to see the world and experience new cultures, outside of football too. I see this as an opportunity, a blessing to broaden my horizons. It wasn’t intentional but just the way things have developed in my career. What was the main reason you chose Pune City and Indian Super League as your next destination in football? Mostly it was the way they approached me. They made me aware of the situation of the club and their plans for the future. I found it very interesting to come and play for that team. It gave me a positive feeling. What are your first impressions from Pune City and India? I’m with the team in Spain and the boys here are training hard. The club is ambitious and has good plans in place. I hope my experience here is a memorable one. Which is your individual aim with Pune City and what do you want to achieve with the club? I want to help the team be successful, to give my best to help everyone in the club and to create a good memory of me. We have all the same goal and work hard on it. I hope that we will get where we deserve. Indian Super League is a quite new project in football. What is its potential in your opinion? The country's size and the ambitions of the organizers create a capacity for a big potential. Indian football fans want to see growth. Indian Super League is in its third season and the league will expand. I want to be a part of the development. You are the best footballer Iceland has ever produced. Why do you think Iceland doesn't have much tradition in football and what different characteristics you had from your compatriots that enabled you to leave a great mark in the history of football? "I think Iceland has always had a tradition in football. It’s only in recent years that the world has taken notice of our performances and results. We have always had our players playing at the highest levels. Now, because we have taken part in European Championships people know more names from Iceland but there have always been big players around. Our main strength has always been our natural physique, our desire to give everything we have on the field. That character, mixed with talent, takes us where we are today. After the age of 30, footballers usually start to think about their retirement. Have you thought about it? When do you plan to retire? What do you want to do after football? Perhaps, become a coach? Or you have dreams that are outside football? Of course I have thought about it. I am blessed that I am able to play at this age. I still have the energy; I love going to train everyday. And while I can do that and still give something back to the team I am playing, I will keep playing. For the future, in short term, I want to spend time with kids and family. After that, something to do with football is on the cards. I have to find the exact plan where I want to go to. Chelsea's 2004-05 title winning XI: Where are they now?